Birds of prey, like all flying birds, have a highly efficient respiratory system designed to pump pure oxygen into the blood. This design is necessary because flight puts extreme pressure on the body of the bird, including severe stress on the heart. 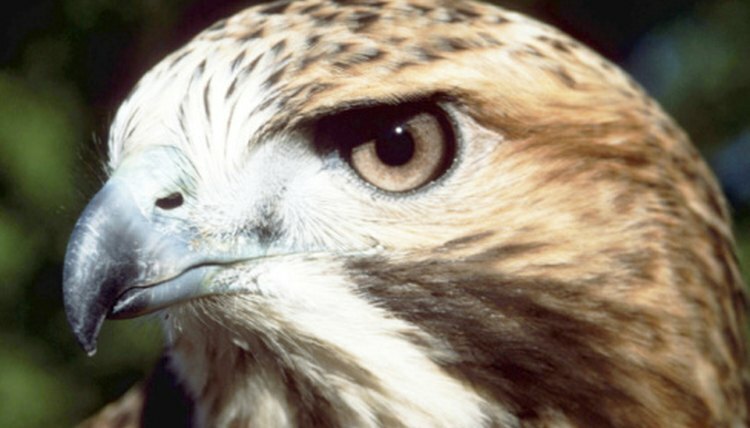 At least one-fifth of a bird of prey's body is devoted to its respiratory system. Birds of prey include eagles, owls, hawks, falcons, raptors and vultures. Each have a nostril on either side of the beak to allow air into internal air sacs. Air passes directly from the lungs into air sacs in the front and back of the bird's body. The air sacs are connected directly to the air spaces in the bird's hollow spaces or pneumatic holes in the bird's bones. The air in the hollow bones allows the bird more buoyancy during flight. The air passes back through the lungs and out again. Many birds of prey have a unidirectional lung flow that allows for pure air to be passed into the blood stream. Other birds of prey breathe into their lungs twice. Air passes into the lungs, through the air sacs and hollow bones and back through the lungs. Air channels through tubules in the lungs that are interlocked with capillaries. The capillaries carry oxygen-poor blood that is re-oxygenated and carried to the heart. The ratio of heartbeats to breaths is low considering the exertion placed on the bird's body in flight. This process is due to the efficiency of the bird's respiratory system, without which the bird would not be able to survive the high altitudes it climbs in flight. One breath is taken every six to 10 heartbeats by birds of prey compared to one breath every four heartbeats by other mammals.